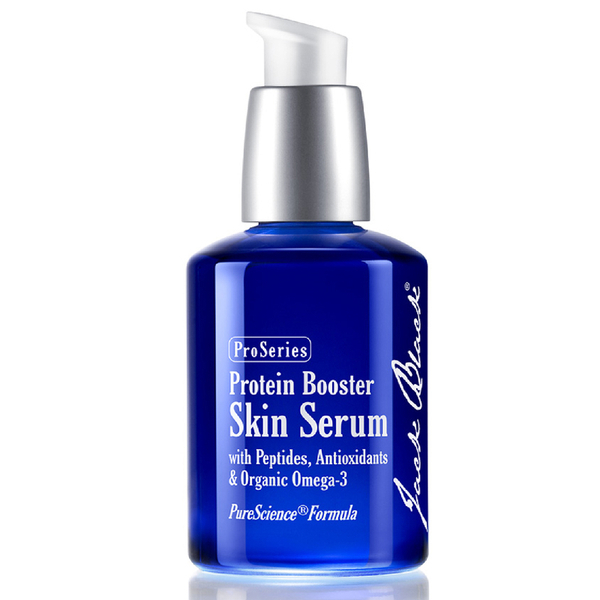 Jack Black present the Protein Booster Skin Serum; an award-winning, fast-absorbing formula that delivers multiple benefits to the face and neck area. 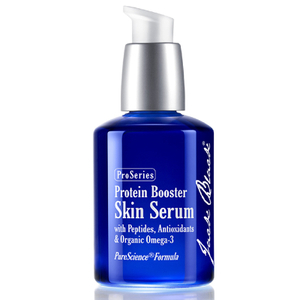 Powered by Matrixyl 3000®, a unique collagen-boosting peptide, the high-performance serum fights fine lines, wrinkles and loss of elasticity, whilst Organic Green Tea provides antioxidant protection to combat free radical damage. Combining Omega-3 Fatty Acids and the brand's patented Renovage® ingredient for superior anti-ageing properties, its silky liquid texture penetrates deep into the skin's layers to minimise the look of dark spots and pigmentation, revealing a smoother, more refined appearance. Paraben and sulphate free. Suitable for vegans. 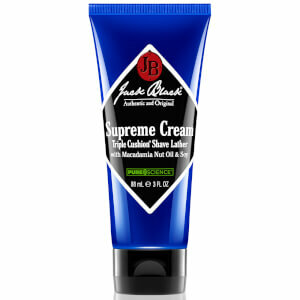 Use it alone or mix with your favourite moisturiser, daily sunscreen or post-shave gel. Apply one pump to cover the entire face, apply a second pump for the neck area; avoid eye area. Water (Eau), Glycerin, Caprylic/Capric Triglyceride, Aloe Barbadensis Leaf Juice*, Butylene Glycol, Sodium Polystyrene Sulfonate, Phenoxyethanol, Simmondsia Chinensis (Jojoba) Seed Oil, Caprylyl Glycol, Sorghum Bicolor Stalk Juice, Xanthan Gum, Polysorbate 20, Retinyl Palmitate, Tocopherol, Dipeptide Diaminobutyroyl Benzylamide Diacetate, Ormenis Multicaulis Oil, Glycine Soja (Soybean) Oil, Zea Mays (Corn) Oil, Ascorbyl Palmitate, Linum Usitatissimum (Linseed) Seed Oil*, Camellia Sinensis Leaf Extract, Taurine, Sodium Hyaluronate, Hamamelis Virginiana (Witch Hazel) Water, Teprenone, Citric Acid, Potassium Sorbate, Lonicera Caprifolium (Honeysuckle) Flower Extract, Carbomer, Palmitoyl Oligopeptide, Palmitoyl Tetrapeptide-7, Pelargonium Graveolens Flower Oil, Cocos Nucifera (Coconut) Oil*, Lonicera Japonica (Honeysuckle) Flower Extract, Rosmarinus Officinalis (Rosemary) Leaf Oil, Alcohol, Plantago Lanceolata Leaf Extract. *Certified Organic.